How could something so subtle be so effective, and so flattering? There’s a lot to love about the non-surgical browlift. It’s one of those things that you’ve probably never heard of or knew how you could benefit from, but once you try it, you’ll wonder how you ever lived without it. Unlike other enhancement procedures, such as lip enhancement, it’s so subtle that no one would ever notice. Instead, you’ll simply look fresher, more awake, somehow softer, and absolutely years younger. Who knew that as we age, we lose fatty tissue above our temples? Who even thinks about this? And, speaking of being undetectable, here’s the thing: when was the last time you noticed someone had fuller temples?! We notice lines and wrinkles – and we can see when our eyelids start to droop a little, but who’d have thought that this was due to a lack of lovely, youthful fatty cushioning above our eyes and brows? Before injectables, the only solution for a tired-looking forehead and eyes was a surgical browlift – and possibly an upper eyelid lift. This can now be performed through keyhole surgery, so it’s far less drastic than before, but it comes at a cost, along with significant downtime, a general anaesthetic and a touch of risk. Now, we can non-surgically enhance the brow area – gently but effectively – through use of fillers and anti-wrinkle injections. The nonsurgical brow-lift (aka brow-lift injections or the chemical brow lift) usually requires two stages, using two key products: anti-wrinkle injections and dermal fillers. The anti-wrinkle injection is made of a natural substance that inhibits muscle movement, while the dermal filler is made of hyaluronic acid, a naturally occurring substance found in the body. We start with the anti-wrinkle injections, then move on to the filler. Anti-wrinkle injections can be used quite creatively. For example, there’s a circular muscle around your eye, the orbicularis oculi – and one of its functions is to press the brow down. (Think: from a surprised expression, make a stern frown) By injecting this muscle, we can release this downward pressure, leaving your forehead muscle (frontalis muscle) free from the antagonism of the orbicularis oculi. The result is an aesthetically pleasing lift to the brow area. There are many different dermal fillers on the market and Joni will more than likely choose a couple of different fillers for your browlift procedure. First, she’ll inject a thick, viscous filler to provide structure and elevation to the brow – giving you back the volume you had years ago. Next, a thinner, lighter filler will be used behind the temple to blend between the first filler and the forehead. These injections will give immediate lift to the area, making you look surprisingly younger and fresher. It’s barely worth worrying yourself with pain relief for this procedure. You can expect a minor amount of short-lived stinging with the anti-wrinkle injections. If preferred, we can ice to the area first or use a topical anaesthetic such as EMLA cream. But really, the injections are so quick, it’s over before you have time to be concerned. Then come the dermal fillers – which contain Lignocaine, so they’re remarkably painless. In fact, it’s surprising how little you feel. Seriously, all you have to do is sit back, relax, and look forward to your new brows! There are no “don’ts”. You can simply go straight back to work or exercise and get on with your life. Technically speaking, bruising is a side-effect; however, when Joni injects, this rarely occurs. After over 25 years of perfecting her technique, Joni’s careful injections will leave almost no mark on your face. If you do suffer a bruise, it will be mild and easily concealed by makeup. 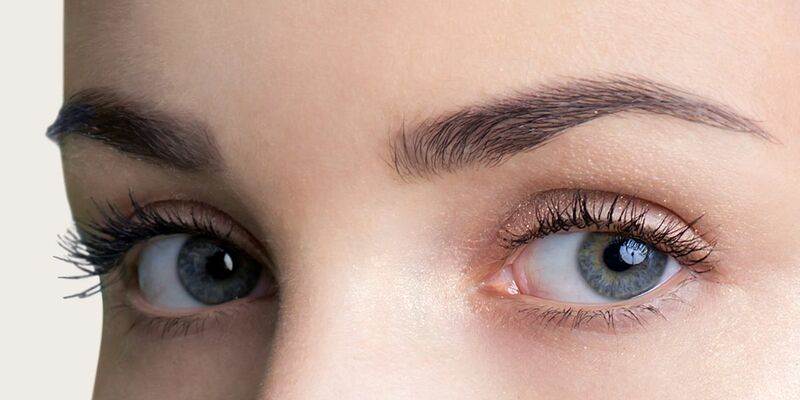 How long will a brow-lift last? Depending on the type of filler used (with thicker formulations usually lasting longer), fillers have been clinically proven to last anywhere between six months to 2 years. Injections around active areas of the face, such as the mouth and lips tend to dissipate more quickly; however, less active areas of the face, such as cheeks or temples tend to maintain the filler for longer.